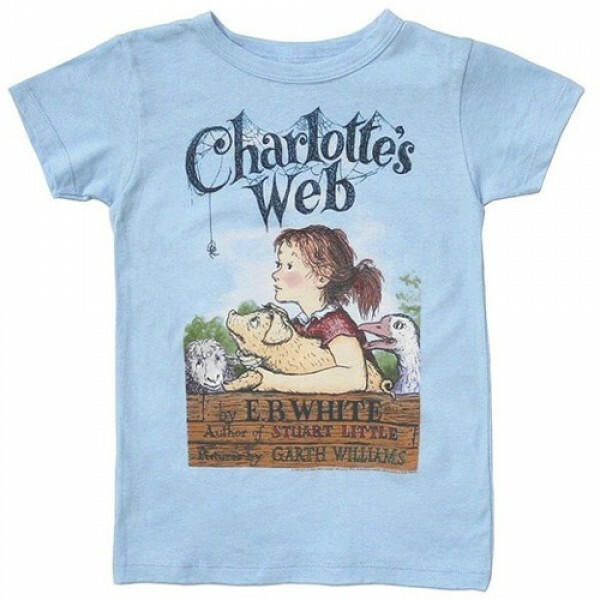 Out Of Print clothing presents this cotton/polyester blend child's T-shirt featuring the cover art from Charlotte's Web. These T-shirts are a great way for kids to show off their favorite book! Plus, Out of Print partners with Books in Africa, a charity that donates books to communities in need; one book will be donated for each shirt purchased. For more girl-empowering clothing options, visit A Mighty Girl's Clothing Collection.